E-commerce’s impact on the trucking industry continues to expand, according to recent analysis by the American Transportation Research Institute (ATRI). ATRI found that sales from e-commerce increased more than 3,000 percent from 1999 to 2017, representing an increase of less than 1 percent of U.S. retail sales to more than 9 percent. The study looked at the impact that emerging e-commerce trends are having on the trucking industry including challenges such as more regionalized retail supply chains and the urban last-mile deliveries. E-commerce annual growth has ranged between 13 and 16 percent over the last five years, outpacing the 1 to 5 percent of traditional retail sales. Intra-regional and last-mile truck trips have increased while the average length of haul has declined. Average trip lengths have decreased 37 percent since 2000, while urban vehicle miles traveled have increased for much of this time period. Intrastate and local hauls for e-commerce could consider e-commerce as training opportunities for 18- to 20-year-olds seeking a commercial driver’s license. 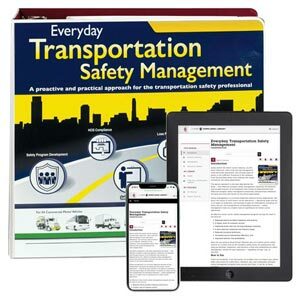 J. J. Keller's Everyday Transportation Safety Management Manual provides a practical guide to implementing and sustaining a successful safety transport management program within your organization. Sign up to receive Transport SafetyClicks™.